RSIS established the Humanitarian Assistance and Disaster Relief (HADR) Programme to facilitate and enhance cooperation on preparedness and response strategies to the fragile and unpredictable situations we face in the Asia-Pacific. Aside from comprehensively investigating regional emergency response frameworks, governance issues, disaster preparedness strategies and the identification and development of response niches for civilian and military actors, the programme also seeks to develop the next generation of global leaders in HADR through roundtable sessions, dialogues and workshops. RSIS launched the Humanitarian Assistance and Disaster Relief (HADR) Programme on 21 July 2015 at the Copthorne King’s Hotel in Singapore. Presenting the keynote address at this event was Dr Noeleen Heyzer, Singapore’s highest ranking Singaporean in the United Nations, the UN’s former Under-Secretary-General and one of Singapore’s leading experts on HADR. The HADR programme was launched by RSIS Executive Deputy Chairman, Ambassador Ong Keng Yong. More information on the launch can be found here. Future HADR Landscape in Asia: Structures and Mechanisms. This first pillar of the programme tracks the emergence of new humanitarian actors (both state and non-state) and maps particular successes, weaknesses, opportunities and threats in preparing for disaster relief and conflict response in the region. This research area also focuses on the relationships between civilian and military actors and the emerging points of difference and convergence between the two in responding to HADR in the Asia-Pacific. This research area also evaluates the quality and impact of both military and civilian organisations’ emergency responses. Community Protection and Assistance. The second pillar focuses on the complex nature of humanitarian assistance that evolves from specific vulnerable communities’ varying and often limited capacities to protect themselves from impacts of disasters. This research area maps the most vulnerable populations so as to better characterise needs assessments and determine deployment of targeted assistance. In addition, one area of research in this pillar will highlight how women are disproportionately affected both during disasters and in response settings. Beyond targeted response, specific focus on the forms of vulnerabilities unique to women will be explored. In particular, this research will explore the transformative possibilities of the UN Security Council’s resolutions on the Women, Peace and Security (WPS) agenda in creating sustainable policies, ensuring greater participation and facilitating the move towards a more gendered perspective on disaster response – a primary step in creating more resilient communities. Humanitarian Technology. The third pillar of the HADR programme examines the field of humanitarian technology [HUMTECH] as applied to a broadly defined context of crises encompassing both natural disasters and conflict zones. This research area identifies the impact technology has on humanitarian responses as well as the emergent challenges of information technology, big data and technological innovations in humanitarian action. in the aftermath of Typhoon Haiyan in 2013.
relief operations in the Philippines in 2013. Jose Ma. Luis P. Montesclaros, New Trends in Humanitarian Assistance – Enticing the Private Sector: The Value Chain Approach, RSIS Commentaries, 30 October 2018. Jose Ma. 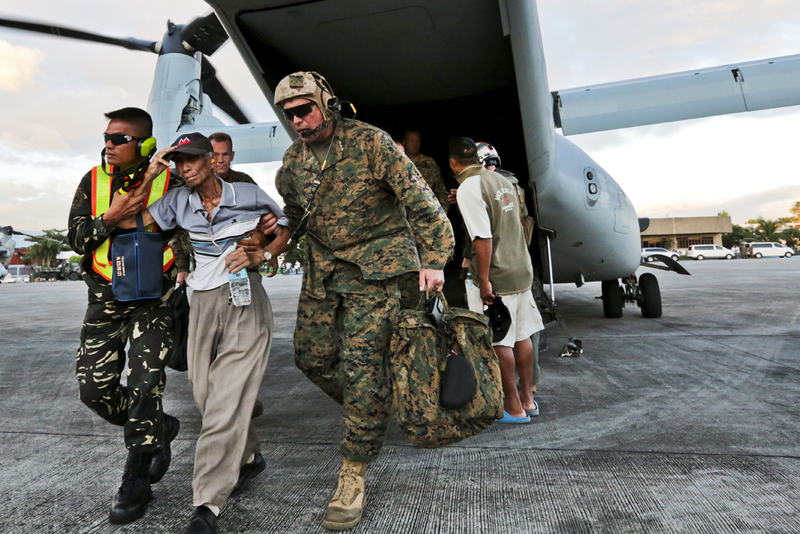 Luis P. Montesclaros and Christopher Chen, New Trends in Humanitarian Assistance – The Private Turn in Humanitarian Aid, RSIS Commentaries, 5 October 2018. Christopher Chen, New Trends in Humanitarian Assistance – Blockchain for Humanitarian Aid: Problem or Panacea?, RSIS Commentaries, 4 October 2018. Martin Searle, Marawi’s Humanitarian Challenges: Limits of Localising Aid, RSIS Commentaries, 27 September 2018. Catherine Jones, Regional Responses to Disasters: Practice but Not Policy?, RSIS Commentaries, 24 August 2018. Lina Gong, Laos Dam Collapse: The Regional Response, RSIS Commentaries, 21 August 2018. Christopher Chen, Humanitarian Action – Power of the Crowd: Collective Voices in HADR, RSIS Commentaries, 13 December 2017. Martin Searle, Humanitarian Action & Coordination – Humanitarian Technology: Balancing Protection with Flexibility, RSIS Commentaries, 5 December 2017. Foo Yen Ne, Lessons from the Field: Timor-Leste and El Nino, RSIS Commentaries, 21 November 2017. Christopher Chen, Improving Disaster Response: Role of Knowledge Sharing, RSIS Commentaries, 13 October 2017. Martin Searle, Martial Law and Trust: Humanitarian Challenges in Marawi, RSIS Commentaries, 21 September 2017. Martin Searle, The Humanitarian Access Paradox: Data Security in Contested Settings, RSIS Commentaries, 12 September 2017. Margareth Sembiring and Alistair D. B. Cook, Build Back Greener, RSIS Commentaries, 10 August 2017. ANM Muniruzzaman, The Digital Age of HADR: Harnessing Technology for Relief Operations, RSIS Commentaries, 4 April 2017. Ennio V. Picucci, Two Earthquakes, Different Reponses: HADR Actors in Southeast Asia, RSIS Commentaries, 6 January 2017. Tamara Nair and Alan Chong, Earthquakes and Environmental Refugees: Time for ‘Green’ Engineering, RSIS Commentaries, 3 January 2017. Vishalini Sagar, As the Water Recedes: Sri Lanka Rebuilds, RSIS Commentaries, 10 June 2016. Alistair D. B. Cook, World Humanitarian Summit: Meeting Expectations or Falling Short?, RSIS Commentaries, 27 May 2016. Maxim Shrestha, Nepal Earthquake One Year On: Building a More Effective Relief Effort, RSIS Commentaries, 26 April 2016. Julius Cesar I. Trajano, An ASEAN Nuclear Crisis Centre: Preparing for a Technological Disaster in Southeast Asia, RSIS Commentaries, 9 June 2015. Mely Caballero-Anthony, Alistair D.B. Cook, and Julius Cesar I. Trajano, Nepal Earthquake: Enhancing International Humanitarian Cooperation, RSIS Commentaries, 27 April 2015. Centre for Non-Traditional Security Studies, Enhancing ASEAN Regional Capacity for Disaster Response Operations, NTS Bulletin, March 2015. Mely Caballero-Anthony and Julius Cesar I. Trajano, Lessons of Two Disasters: Building Resilience from Within, RSIS Commentaries, 9 December 2014. Jonatan Lassa, Disaster Risk Governance: Strengthening Collaboration with Non-State Actors, RSIS Commentaries, 7 April 2014. Mely Caballero-Anthony, Gianna Gayle Herrera Amul, and Julius Cesar Imperial Trajano. 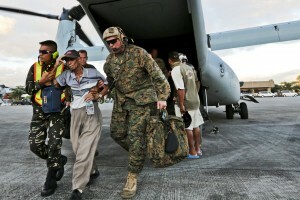 Typhoon Haiyan’s Aftermath: Testing Resilience in Complex Emergencies. RSIS Commentaries, 15 November 2013. Alistair D. B. Cook, The Emergence of Comprehensive Humanitarianism in Southeast Asia?, RSIS Non-Traditional (NTS) Year In Review 2017, Singapore: RSIS, 2017 pp. 14-16. Hnin Nu Wai, Ex COORES – A Model for Civil-Military Relations in HADR Efforts?, RSIS Non-Traditional (NTS) Year In Review 2017, Singapore: RSIS, 2017 pp. 17. Alistair D.B. Cook, Positions of Responsibility: People-Centred Approaches to Humanitarian Action, RSIS Non-Traditional Security (NTS) Year In Review 2015, Singapore: RSIS, 2015 pp. 28-31. Alistair D.B. Cook, The New Realities and Changing Landscape of Humanitarian Action, RSIS Non-Traditional Security (NTS) Year In Review 2014, Singapore: RSIS, 2014 pp. 16-19. RSIS Centre for Non-Traditional Security (NTS) Studies, Roundtable on Humanitarian Technology and Innovation: Critical Questions and Implications for Southeast Asia, 11 June 2018 (Report, Singapore: RSIS NTS Centre, 2017). RSIS Centre for Non-Traditional Security (NTS) Studies, International Humanitarian Law in Asia: Regional Conference on Generating Respect for the Law, 27-28 April 2017 (Report, Singapore: RSIS NTS Centre, 2017). RSIS Centre for Non-Traditional Security (NTS) Studies, World Humanitarian Day: Voices from the Field, 17 August 2017 (Report, Singapore: RSIS NTS Centre, 2017). RSIS Centre for Non-Traditional Security (NTS) Studies, INTER-REGIONAL COMPARISONS OF HUMANITARIAN ACTION , 08 June 2016 (Report, Singapore: RSIS Centre for NTS Studies, 2016). RSIS Centre for Non-Traditional Security (NTS) Studies, World Humanitarian Day: Voices from the Field, 19 August 2015 (Report, Singapore: RSIS Centre for NTS Studies, 2015). RSIS Centre for Non-Traditional Security (NTS) Studies and the International Committee of the Red Cross (ICRC), Roundtable on the Challenges to Humanitarian Assistance and Disaster Relief in the Asia-Pacific, 22-23 July 2015 (Report, Singapore: RSIS Centre for NTS Studies, 2015). RSIS Centre for Non-Traditional Security (NTS) Studies, Workshop on Community Resilience and Human Security: From Complex Humanitarian Emergencies to Sustainable Peace and Development, 10-11 April 2014 (Report, Singapore: RSIS Centre for NTS Studies, 2014). Christopher Chen, Foo Yen Ne and Margareth Sembiring, ‘Simultaneous Disasters in Southeast Asia: Is Risk Outpacing Resilience?’, NTS Insight, No. IN18-07 (Singapore: RSIS Centre for Non-Traditional Security (NTS) Studies, 2018). Martin Searle, ‘Conflict, Disaster and the Reporting of Suffering – an Accountability Paradox’, NTS Insight, No. IN17-02 (Singapore: RSIS Centre for Non-Traditional Security (NTS) Studies, 2017). Margareth Sembiring and Jonathan Lassa, ‘Towards Policy Integration of Disaster Risk, Climate Adaptation, and Development in ASEAN: A Baseline Assessment’, NTS Insight, No. IN17-01 (Singapore: RSIS Centre for Non-Traditional Security (NTS) Studies, 2017). Alistair D. B. Cook, Zin Bo Htet and Maxim Shrestha, The 2015 Nepal Earthquake: Implications for Future International Relief Efforts, NTS Policy Brief, 22 June 2016. RSIS Centre for Non-Traditional Security Studies, Communities and Critical Infrastructure: Opportunities for Reinforcing Resilience, NTS Issues Brief, Singapore: Centre for Non-Traditional Security Studies, 2014. Alistair D. B. Cook and Foo Yen Ne, Complex Humanitarian Emergencies and Disaster Management in Banglaesh: the 2017 Rohingya Exodus, NTS Report No. 11, 2 July 2018. Vishalini Chandara Sagar, Alistair D. B. Cook, Tamara Nair and Foo Yen Ne, Integrating a Disaster Response Architecture in Timor-Leste: Opportunities and Challenges, NTS Report No. 8, 22 March 2018. Tamara Nair, Upscaling Disaster Resilience in Southeast Asia – Engaging Women through the WPS Agenda, RSIS Policy Report. Singapore: RSIS, 2018. Martin Searle, Humanitarian Technology: New Innovations, Familiar Challenges, and Difficult Balances, RSIS Policy Report. Singapore: RSIS, 2017. Jessica Ear, Alistair D. B. Cook and Deon V. Canyon, Disaster Response Regional Architectures: Assessing Future Possibilities, RSIS Policy Report. Singapore: RSIS, 2017. Alistair D. B. Cook and Ennio V. Picucci (ed. ), Humanitarian Technology Survey, RSIS Policy Report. Singapore: RSIS, 2017. Alistair D. B. Cook (ed. ), World Humanitarian Summit: Implications for the Asia-Pacific, RSIS Policy Report. Singapore: RSIS, 2017. Julius Cesar I. Trajano, Building Resilience From Within: Enhancing Humanitarian Civil-Military Coordination in Post-Haiyan Philippines, NTS Report No. 6, December 2016. Alistair D. B. Cook, Maxim Shrestha, Zin Bo Htet: International Response to 2015 Nepal Earthquake Lessons and Observations,NTS Report No. 5, 04 October 2016. Alistair D.B. Cook, “One ASEAN, One Response: ADMM and ADMM-Plus Contributions to Humanitarian Assistance”,in Roundtable on the Future of ADMM/ADMM-Plus and Defence Diplomacy in the Asia-Pacific, Policy Report, eds. Sarah Teo and Bhubhindar Singh. Singapore: RSIS, 2016 pp. 38-39. Martin Searle, ‘Is the Use of Cyber-Based Technology in Humanitarian Operations Leading to the Reduction of Humanitarian Independence?’, RSIS Working Paper, No. 315, Singapore: RSIS, 2018.